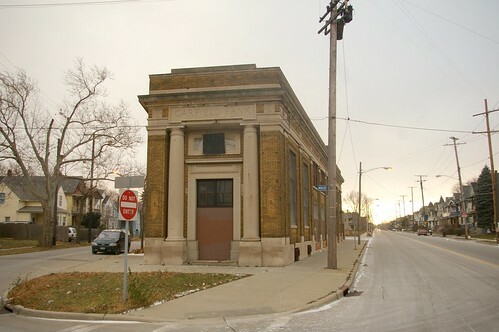 Recently, I recieved an inquiry about the history of the Garfield Savings Bank building at East 79th Street and St. Clair Avenue, in Cleveland, Ohio. It was designed Walker and Weeks, the noted Cleveland architects responsible for the Cleveland Public Library main library, the Federal Reserve Bank of Cleveland, Cleveland Municipal Stadium, Public Auditorium, and Severance Hall. 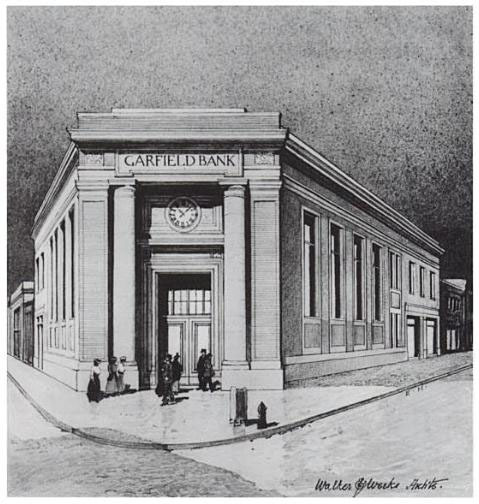 Of the many smaller banks, one of the more striking buildings was designed for the expanding Garfield Savings Bank in Cleveland, for which Walker and Weeks planned two branches in 1915. The building on St. Clair Avenue at East 79th Street stands at the triangular intersection of three streets and forms an irregular quadrilateral with the entrance at the narrow end, framed by two Tuscan columns. Like many bank buildings of the period, it incorporated space on two stories for rental as retail stores. But unlike most, it is built of brick rather than stone. Johannasen's book also includes this drawing of the building, by Walker and Weeks. 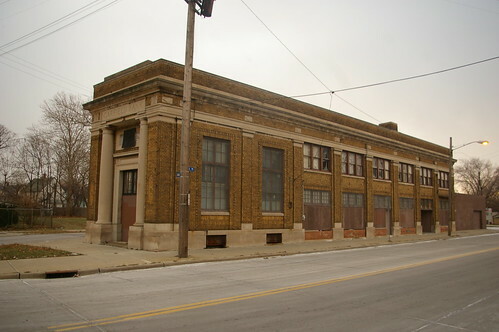 The other branch Walker and Weeks designed for Garfield Savings Bank was on East 105th Street. According to the Cleveland Architects Database, it has been demolished. The Walker and Weeks drawing make it look like a much more evenly proportioned triangle than it is. The piece of plywood underneath the name of the bank covers what used to be the location of a clock. 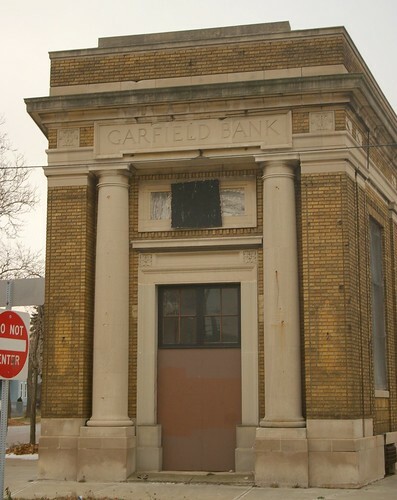 Garfield Savings Bank was founded in Cleveland, on May 16, 1892. The Proceedings of the Annual Convention of the American Bankers Association for 1917 lists a main bank and four branches. The branches were located at St. Clair and East 105th Street, St. Clair and East 72nd Street, Superior and East 105 Street, and 11803 Euclid Avenue. As the address for this building is not listed, we can assume that it was probably the main branch. None of the other buildings remain. Garfield Savings Bank merged with Cleveland Trust in 1922. At the time of the merger, Garfield Savings Bank had $15 million in deposits and 66,000 depositors, according to The Bankers Magazine, vol. 104, p. 608. Property records show (AFN 192206230143) that the building was sold to Haddam Building Co. in June of that year. Research into the Haddam Building Co. has been less than fruitful. It was founded sometime before 1906. It occupied this building until 1938, when it was sold to Ellie Barsan. In 1944, it was transferred to Virginia Barsan, who owned it until 1977. It has changed hands frequently since then. I contacted the Photograph Department at Cleveland Public Library, which has a significant collection of photographs documenting the works of Walker and Weeks. They were unable to locate any images of this building. The larger windows open onto what would have been the lobby of the bank. The smaller windows, split into two stories, would have been shops with storage or apartments on the second floor. Note that the lobby is smaller than was initially suggested by the drawing above. 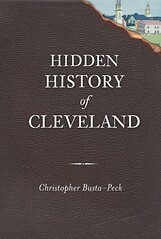 If you have questions relating to local history, please send them our way, either by commenting here, or by emailing them to ClevelandAreaHistory@gmail.com. We will do our best to answer them. I love this building. I had a friend that lived in it for a spell. Surprisingly, I don't see anything on it in the Press Collection or Cleveland Memory, either. Let me know if you encounter any historic shot of the building (or the one on 105th). Will do. I suspect that the WRHS may have something, but getting over there at a time when they'll be open is a real challenge. I drive by this building nearly every day. I sure hope it can be preserved.